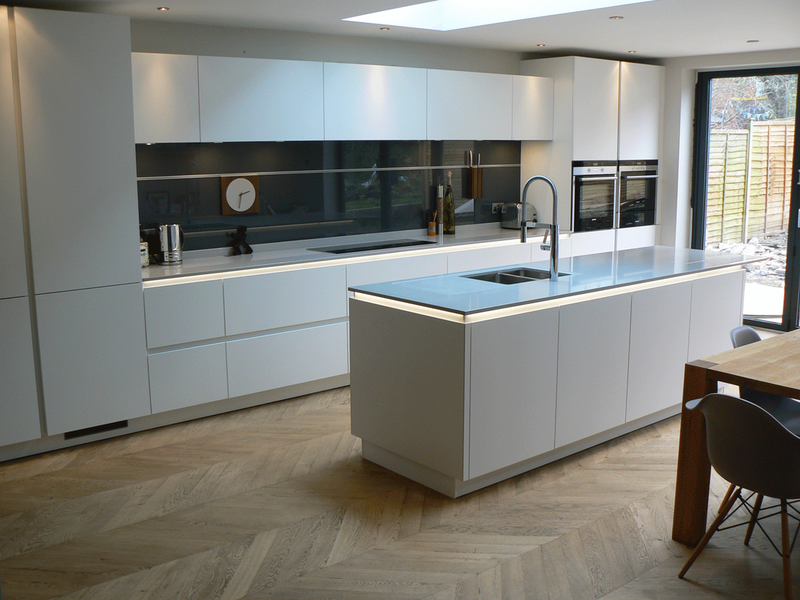 If you are looking for an elegant and sleek, contemporary kitchen, then there is no doubt that the latest designs in German handleless kitchens are leading the way! 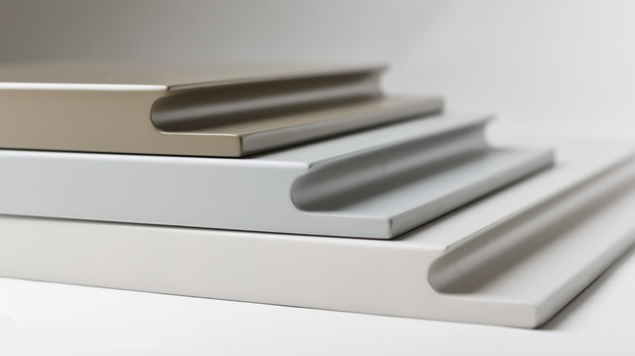 The handle-less aluminium kitchen rail is routed out within the cabinet itself, providing a space to place your fingers behind the door or drawer in order to open. This completely removes the need to have a handle protruding from the door. Even integrated dishwashers, washing machines and fridge freezers can have the handle-less rail integrated for a particularly clean line. In the past many companies provided a handle which was actually routed into "the top edge" of the door. This although looking sleek, it was actually very impractical. The routed groove is quite small, barley enough room to place your finger tips. Although on normal doors and drawers this is adequate, the problem arises when you have an integrated appliance like a fridge freezer. Fridge freezers often have a certain amount of suction when closed to maintain a good seal. This makes the opening of these appliance with the "old style J rail" quite difficult. Please note that when testing this in various showrooms, make sure the appliance is ON, other wise you will not get realistic idea of how difficult these doors are to open. An example of a German handle-less kitchen......the way handle-less kitchens should be. The 2 examples below are of the outdated "J" shaped handleless doors which we do NOT supply.